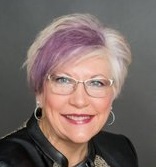 Joyce Lewis is currently a licensed professional cosmetologist and cosmetology teacher. Just recently she celebrated the opening of her new salon - The Cutting Room - in Cary, IL. Prior to that she served as an independent contractor and Sr. Hair Designer at Bella Vita Salon and Day Spa for 15 years. In that role she was responsible for providing professional hair care services (more than 70 clients), managing her client roster and conducting marketing activities to drive new business. Her experience at Bella Vita, and previously to that, operating her own salon for 10 years, made the transition of, once again, being a business owner an easy one. Joyce prepared for her independent owner and entrepreneur role by managing a large department store salon with more than 50 stylists and staff for more than 12 years. While there, she grew revenues to become one of the top five salons in the Chicago region. Joyce is an active church and community leader and volunteer, as well as a member of Women in McHenry County. Community leadership activities include Girl Scout Leader and vacation bible school teacher and project coordinator. Volunteer fundraising activities include St. Baldrick and Shamrock Shave cut-a-thons, Catholic high school bingo night support and Founder’s Day craft corner staff. In 2013 she was the recipient of the Women of Achievement Award in the category of Licensed Professional. She currently serves WIM3 as Mentoring Chair.